Grass Direct is the home of the UK's largest selection of artificial grass. We have a range for every home and budget, with unbeatable prices in-store, online or over the phone. 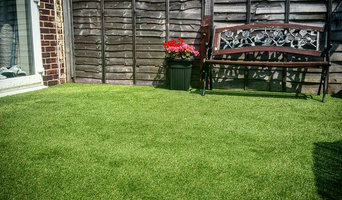 Our price-match promise means you won't find our artificial grass ranges cheaper. If you do, we'll match the price and knock off a further 10%! We refuse to sacrifice quality too, which means all of our grass ranges come with an extended warranty to give you peace of mind in our products. Don't just take our word for it... Order your free samples today and see for yourself. Retailers of high quality garden accessories and outdoor living products. Inspiring our customers on how to style their gardens and add finishing touches for their very own great outdoors. Family run company specialising in garden buildings for over 20 years. Manufacturer and retailer of bespoke timber gates and fencing. Garden hard and soft landscaping. Projects carried out from design to completion. 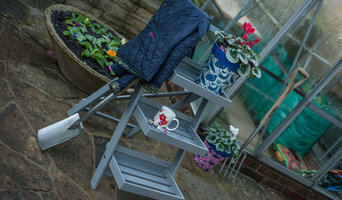 What garden supplies can I get from Yarm, North Yorkshire garden centres and landscaping retailers? If you’re going for a complete overhaul of your garden, then you’ll probably need soil, turf, large plants, trees, decking or patio materials to make a start. 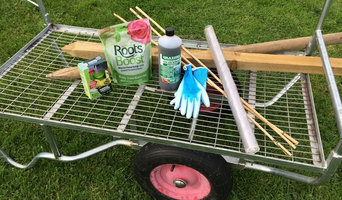 Wholesale garden suppliers in Yarm, North Yorkshire will be your best option for all the basic garden supplies, so get in touch with them to discuss your needs. Once you have the foundations of your garden sorted, then the adorning and decorating can start, which is where Yarm, North Yorkshire garden centres will become your new favourite haunt. From seeds, small plants, garden ornaments and plant pots to the bigger structures such as pergolas, greenhouses, garden furniture, water features and planters, garden centres will offer a wonderful range of garden supplies and accessories to help you lade your garden with lovelies. Find specialistYarm, North Yorkshire garden suppliers if you’d like more uncommon garden features, like fire pits, garden sculptures, raised flower beds or special garden lighting. You can even find vintage garden accessories from some retailers if you want the shabby chic, eclectic garden look. Garden suppliers and landscape supply professionals in Yarm, North Yorkshire will be able to offer advice on the suitability of certain products for your garden design and possibly assist with the installation and maintenance of your garden supplies and features. You may wish to involve a garden contractor or landscaper in your garden supply choices, as they will also have a clear idea of what materials and items are best. 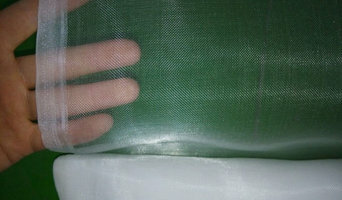 They may also be able to recommend Yarm, North Yorkshire garden centres in your area that they have worked with before. Here are some related professionals and vendors to complement the work of garden & landscape supplies: Landscape Contractors, Main Contractors, Landscape Architects & Garden Designers. Find landscape and garden supplies on Houzz. Search the Houzz Professionals section for Yarm, North Yorkshire garden centres and garden suppliers. Browse photos and read reviews. You can also explore full-service Yarm, North Yorkshire landscape architects and garden contractors.